Bunso joined their school’s educational field trip last Sunday. 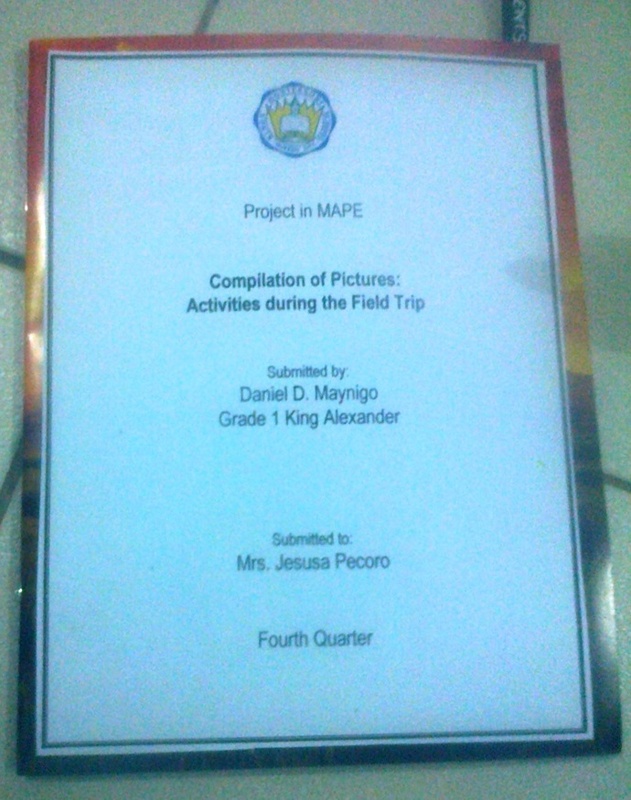 And part of his MAPE assignment was to make a compilation of photos taken during the field trip. 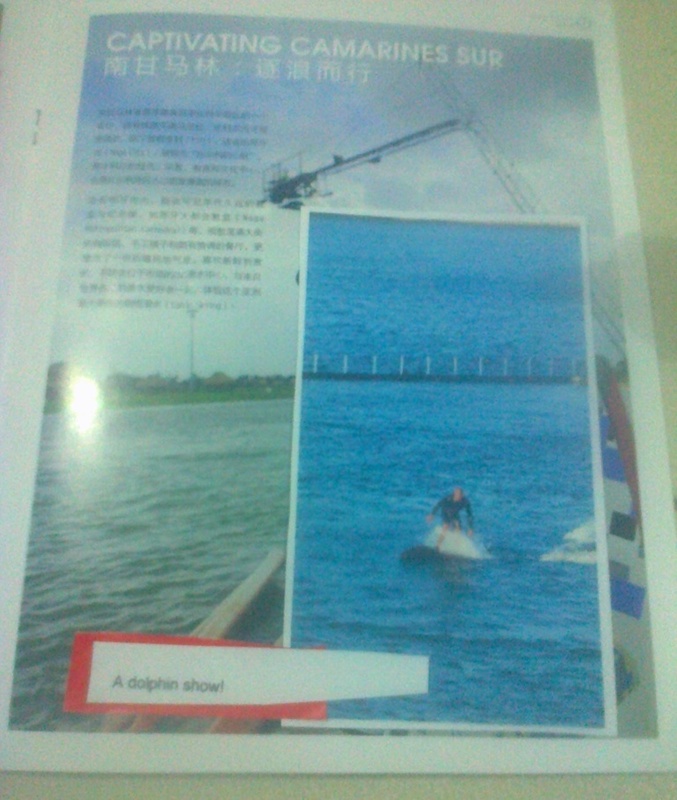 Photos should highlight their activities. 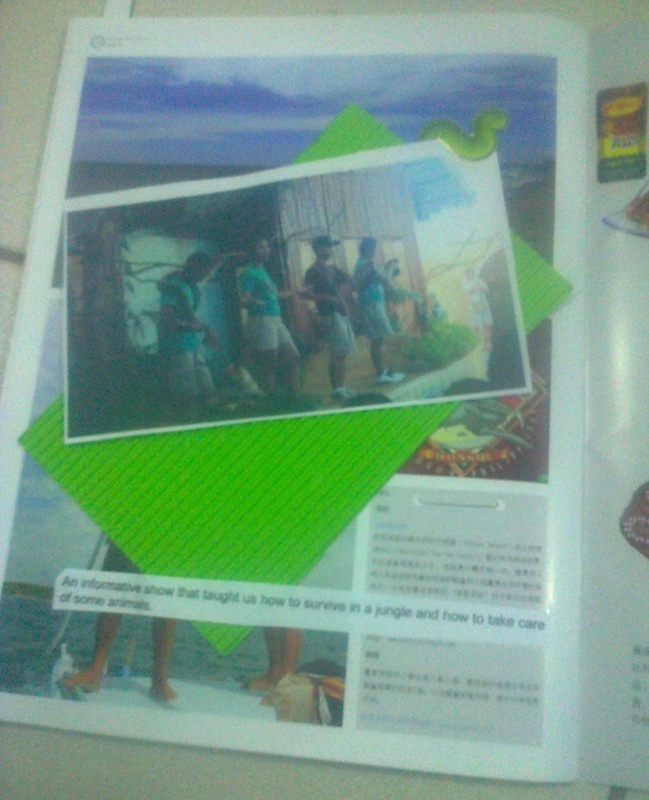 Instead of submitting it in a usual bond paper-then-fasten-it-inside-a-folder approach, we made use of a travel magazine as our improvised portfolio. 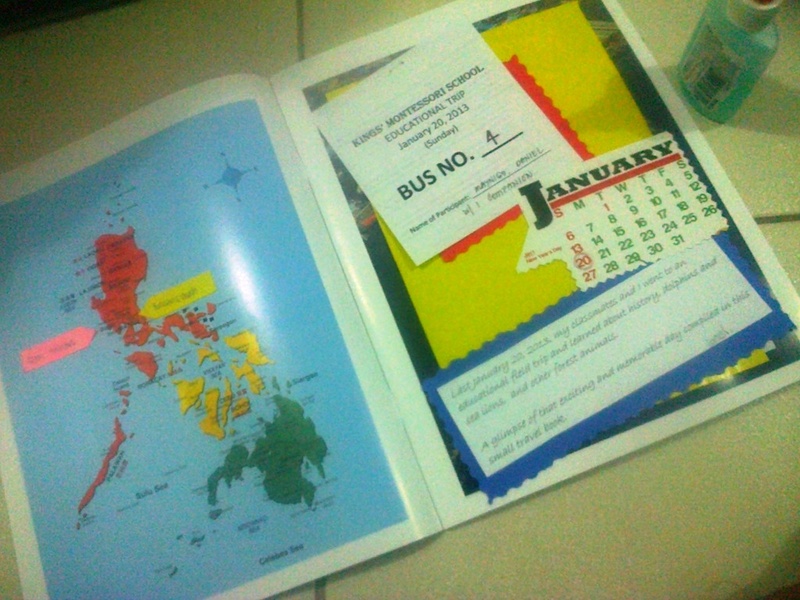 right page: our trip pass with bus number 4 and a copy of January calendar; we encircled Jan 20, date of the field trip. 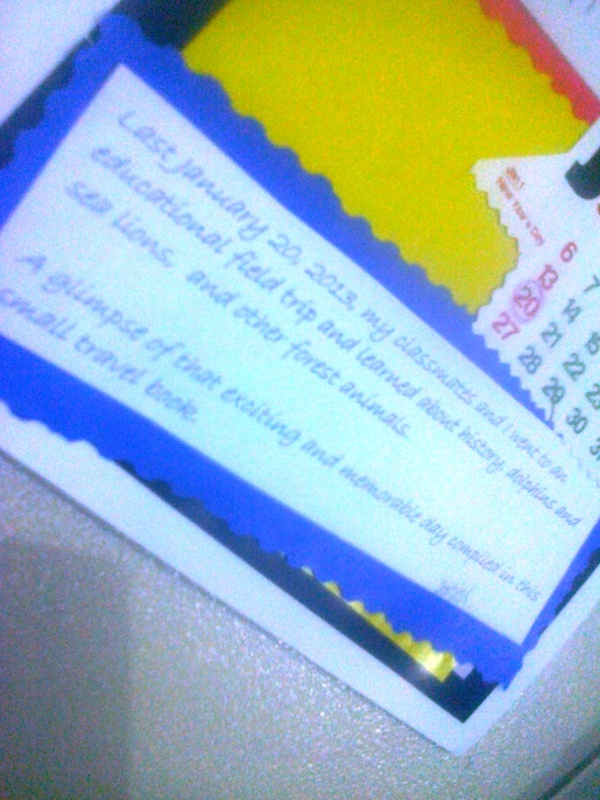 found below: bunso’s short note about the travel portfolio. 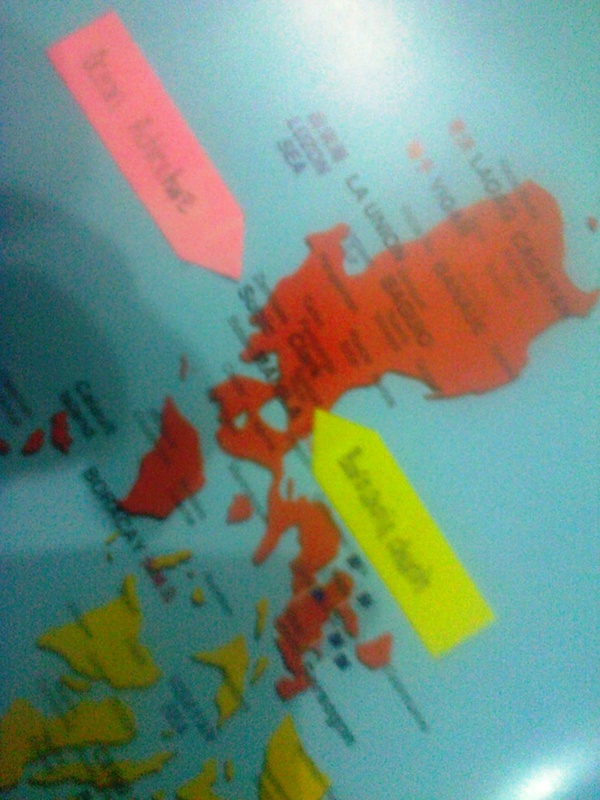 left page: good thing the magazine has a Philippine map. 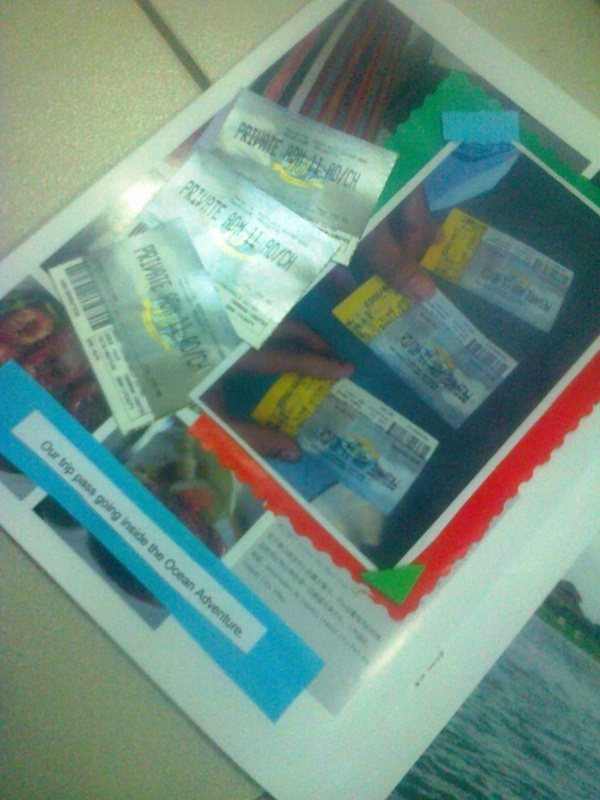 We identified the places we’ve visited — Ocean Adventure in Subic and Barasoain Church in Bulacan. 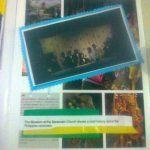 The next page was about the Barasoain Church. A procession outside the church. We likewise heard Sunday mass. 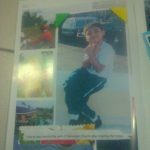 Some photos of Bunso in front of the famous church. 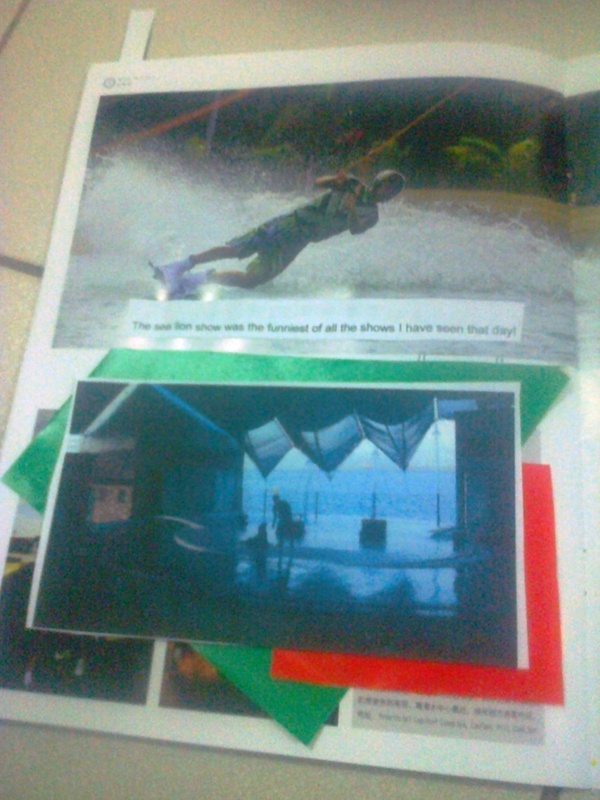 Remember Kuya firstborn’s English portfolio project? There were a few leftovers thus we made use of them here — art paper, crepe paper, corrugated paper and board paper. A picture of our ticket pass from Ocean Adventure. We likewise included the actual ticket passes to fill in the void. 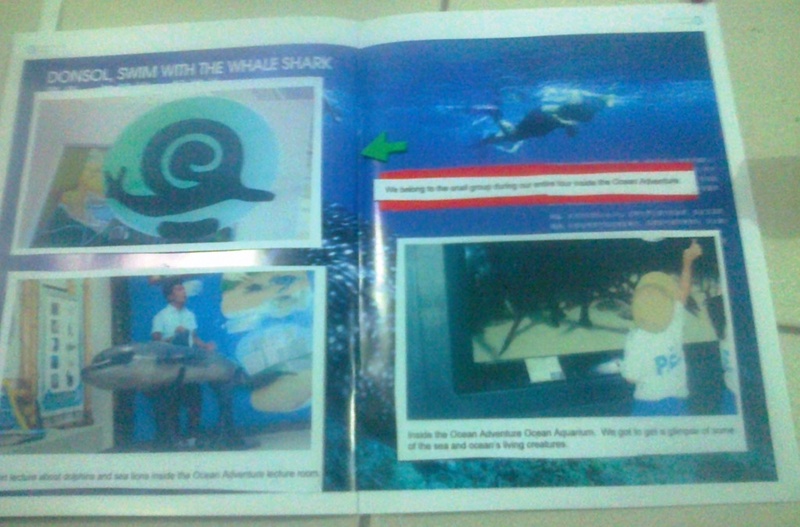 All throughout the trip inside the Ocean Adventure, we were team snail (our placard guide at top left). Our tour guide ( picture down left) was kind and patient to all school kids and their companions. Bunso was in complete awe. He kept pointing on (and trying to catch) the fish, starfish, crab, etc. The dolphin show was just as exciting. Our seats were pretty far from the ocean/stage thus we didn’t get a very nice view of the show. 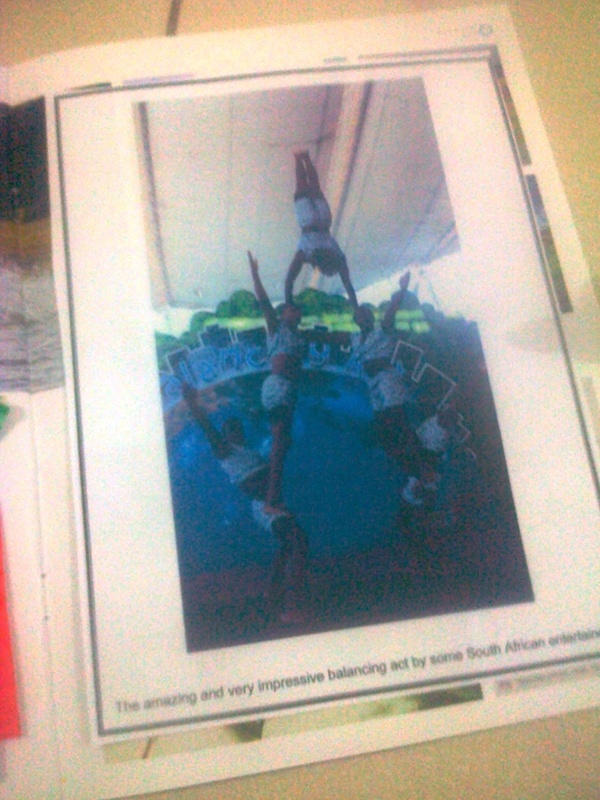 The kids and even their mama were really all praises to the Southern African Acrobats. Great stage presence and perfect stunts. We also enjoyed the sea lion show. it was such a riot watching the two sea lions as if they really can understand everything their trainers ask them to do. Such a fun watch as well was the jungle survival tips from an aeta guide. The kids were also amazed to see bats, raccoon, white mice, eagle and even a dog and cat do some tricks. At Ocean Adventure, one can have his picture taken with the animals — for a fee. We were not allowed to bring in any food inside. They have dining halls inside and everyone exits into the souvenir shop to remind everyone that they can take home an Ocean Adventure keepsake. The highlight of the field trip? 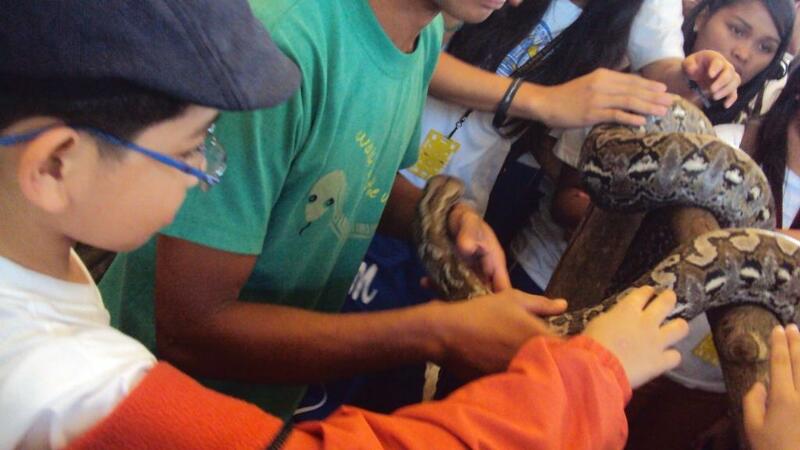 I guess it was Second son and Bunso’s brave acts to hold and feel the skin of a snake. Again, you made your mama so proud of you! 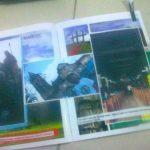 * (January 2013) This momi compiled and decided to share some of the school projects made by her boys in order to help other students with their research. It has always been this momi’s intention to offer help the best way she can. Pardon the quality of the photos. Ganda naman ng project ni bunso! Naka 100 ba sya? hahaha. di ko pa alam. di pa sinosoli. baka nga. di pa sinosoli e, gagawing example ng teacher siguro. eheheh. yabang!